Not long ago, as I waited to use the restroom at Friendly Toast in Portsmouth, New Hampshire, I became intensely aware of the sign on the door. 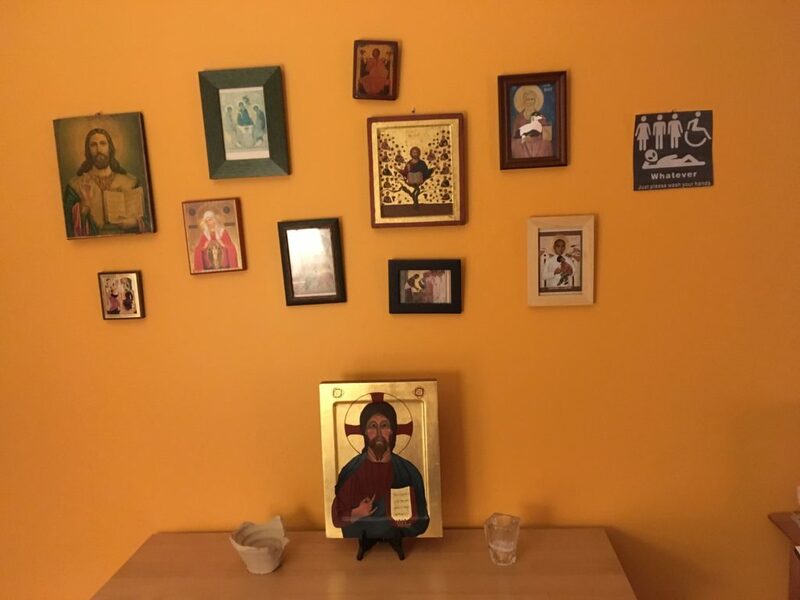 One wall of our living room is dominated by religious icons, many familiar ones such as the Annunciation, the Transfiguration, the Trinity, and Jesus as the Vine. These are accompanied by Saint Cuthbert holding his duck and Oscar Romero holding a little boy. Our unchurched granddaughters recognize Mary and Jesus from the Christmas story, and in time we will introduce them to the stories that go with other icons, but for the moment the icons are just pretty pictures. Looking at the inclusivity evident on the restroom sign, however, I realized it was an icon that would be easy to talk about with the little girls. Better than any of the icons on my living room wall, this demonstrates the passionately inclusive love of God as made known to us in Jesus. 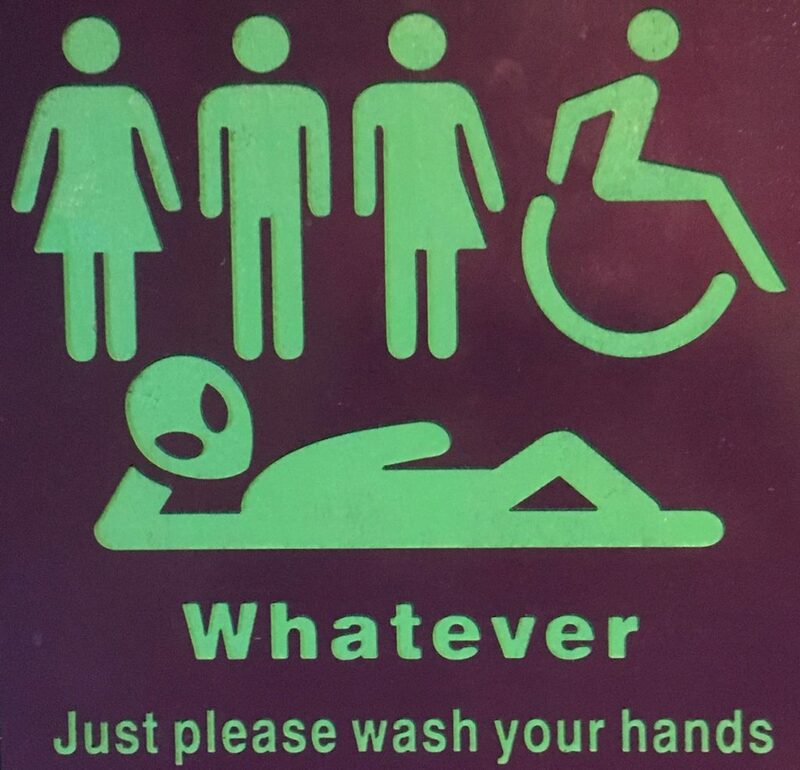 This sign welcomes women, men, transgender persons and gender fluid, the handicapped, the alien. It’s the gospel message writ large. It also includes an expectation: “Just please wash your hands.” Don’t spread your germs; be kind to others. On the drive back home to Maine, I kept thinking about the sign. The girls certainly recognize differences between men and women, and they have an adult gender fluid half-sibling, so of course they would expect all the people they know to be welcomed in a restaurant or a restroom. But what about the alien? I could play with it in my mind in relation to the current political fear-mongering about aliens and asylum-seekers, but the sign clearly isn’t about Muslims or Guatemalans. Then I thought about Madeleine L’Engle. The little girls aren’t quite old enough forA Wrinkle in Time, but that’s another cultural icon about inclusivity, including interplanetary aliens like in the restroom sign, that I eventually hope to share with them. 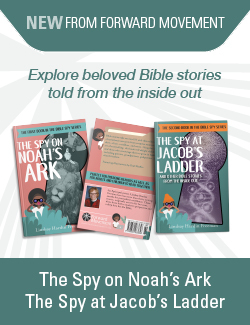 I actually think this is theology that children understand better than grown-ups. 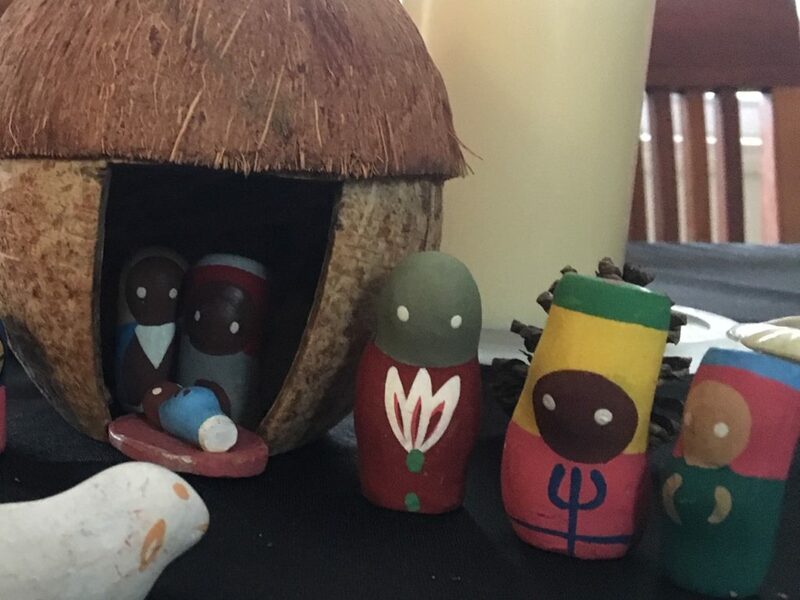 After all, they have always assumed that one of the magi in our Christmas creche from Haiti is a space alien, a wise alien called to join the other magi in worshiping Jesus. Most evenings, I choose a phrase from Scripture to use with my Anglican prayer beads. Recently I’ve been using the doxology, “Glory to You, Source of all being, Eternal, Incarnate Word, and Holy Spirit,” meditating on our Savior as both the Eternal Word who has existed since before time and creation, and as Incarnate Word, Word made flesh, living as a human being among us. “Without him was not anything made that was made.” That “not anything” includes suns and moons and planets in their courses, the most distant galaxies, comets and asteroids, and whatever strange and alien life forms inhabit any of them. As my fingers move over the beads, I think about scripture, Madeleine L’Engle, and the restroom sign in Friendly Toast. I find myself pondering Jesus as the Incarnate Word of God for us on this world, then wondering whether God has indeed sent other manifestations of the Eternal Word to other places, other worlds (as the Phos hilaronsays in our Evening Prayer service: “You are worthy at all times to be praised by happy voices, O Son of God, O giver of life, and to be glorified through all the worlds”). In this season of Epiphany, we celebrate the magi, the Baptism, the wedding at Cana. This year, my own epiphany came from a restroom door, reminding me that God does indeed speak to us where we are. Perhaps I should add a copy of that icon to my living room wall and see if the grandchildren notice. You are from our neck of the woods! We love the Friendly Toast. We live up in rural Central Maine and it’s always lovely to make a connection. Thanks for the beautiful thoughts this sunny weekend day!